Above photo: Megs Yunn, executive director and founder of Beverly’s Birthdays, poses with the first kids to shop in the Birthday Boutique fashion truck. 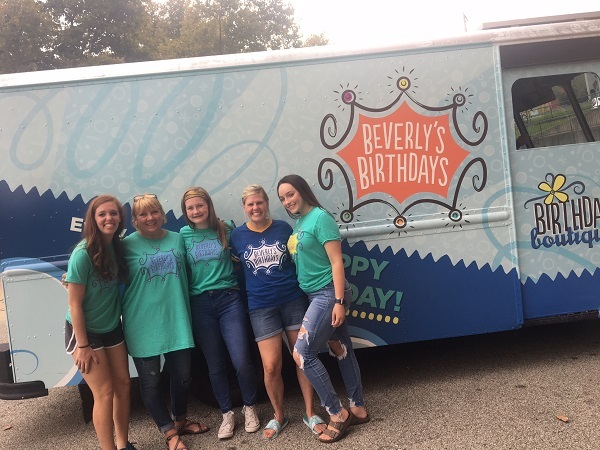 Her latest venture, the Birthday Boutique van, hit the road on its maiden voyage to deliver “Hope on a Hanger.” The fashion truck, outfitted with new clothing and accessories, allows kids to “shop” for outfits at Beverly’s Birthday parties held at homeless shelters and group homes. The Birthday Boutique made its first stop at Duquesne Family Center, where 17 kids from toddlers to teens went on a shopping spree with donations from Delivering Good, Kidbox and American Eagle Outfitters. Each party guest left with a duffel bag, plus two outfits and a Beverly’s Basics Kit of underwear, socks and pajamas. The most rewarding part of her work is using kids’ birthdays as an occasion to show kids they matter. “My world lit up when one of the little shoppers exclaimed, ‘All of this is making me feel so special.’ This is the sole reason why our organization exists,” Megs says. Beverly’s Birthdays had its start after she met a girl named Beverly, who had never had her own birthday cake or party. The idea for Birthday Boutique was born when Megs met another girl, Kayla, during a birthday celebration at a residential home for kids. Kayla told a board member that she loved the dress one volunteers was wearing and that she herself had never owned a dress. “The next day our board member arranged with the agency to fund a trip for Kayla to go shopping at Target,” Megs says. Kayla, who was not allowed to leave the facility due to safety concerns, was able to video chat with her aide to help her pick out two dresses and a pair of shoes to wear on her birthday the following day. Beverly’s Birthdays’ newest venture is the Birthday Boutique fashion truck. Continuing the soft launch of the Birthday Boutique this fall, Megs and her team plan on taking the van to select agency partners to learn what works best, while providing clothing for 300 kids. Upcoming visits are scheduled at Homewood Brushton Family Support Center and Auberle in McKeesport. 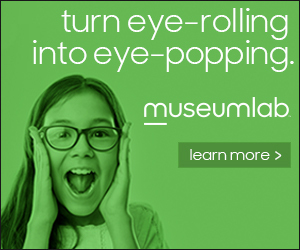 She estimates the boutique will outfit 600 kids in 2019.